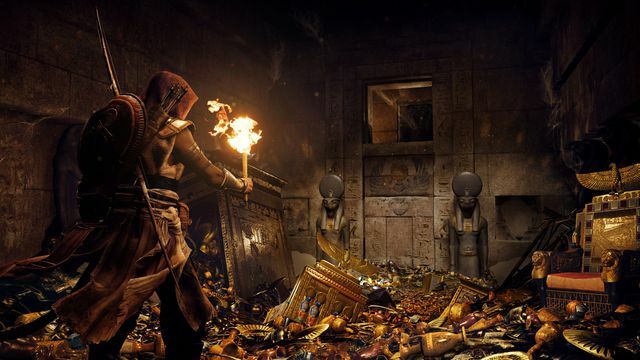 Assassin’s Creed fans with deep pockets have a special edition of the next game in the franchise just for them: a $799.99 “Dawn of the Creed Legendary Edition” of Assassin’s Creed Origins. There are seven versions of Assassin’s Creed Origins up for pre-order at the official Ubisoft Store. They range from the standard $59.99 edition of the game to a $99.99 “Gold” version that includes the season pass all the way up to the “Legendary” collector’s edition that includes, well, just about everything. 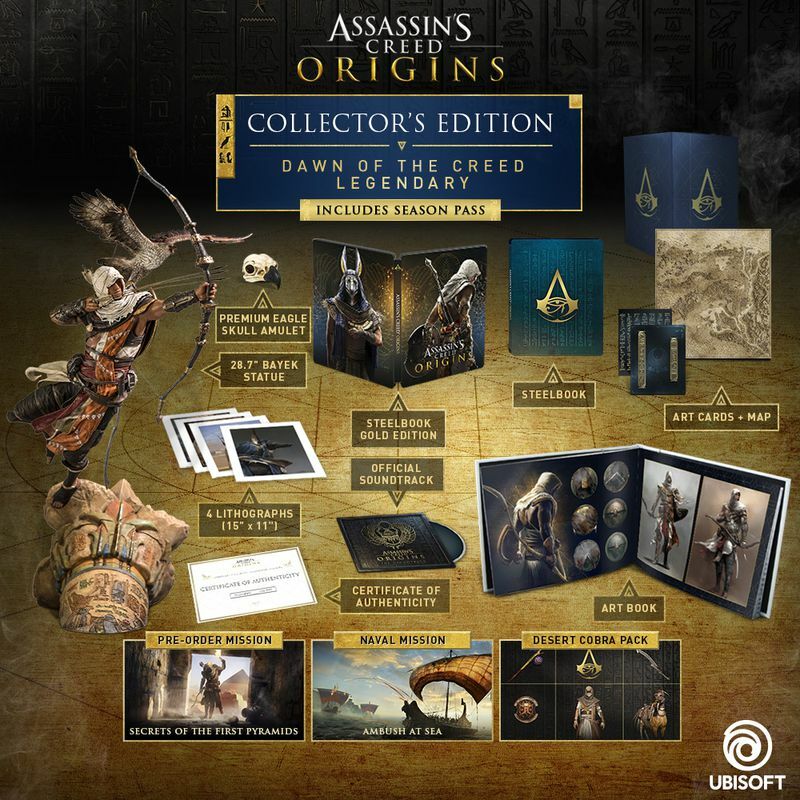 Assassin’s Creed Origins’ Dawn of the Creed Legendary Edition is limited to 999 copies — only 200 of which are available in North America — and is exclusive to the Ubisoft Store. For the collector of video game figurines who doesn’t want to drop $800, there are God’s Collector and Dawn of the Creed Collector editions of the game that cost $119.99 and $159.99, respectively. Both include physical versions of Bayek and Senu. For a full rundown of all seven versions of Assassin’s Creed Origins, check out the Ubisoft Store. Assassin’s Creed Origins is coming to PlayStation 4, Windows PC and Xbox One on Oct. 27. The game was confirmed earlier this week at Microsoft’s pre-E3 2017 press event.